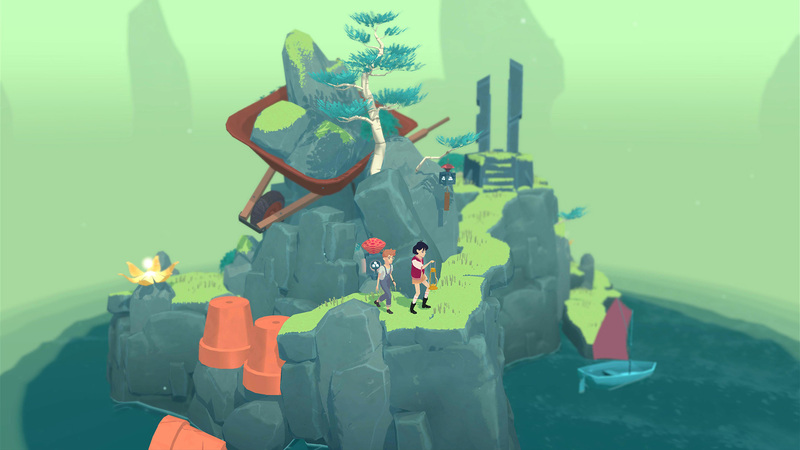 The Gardens Between, a gorgeous adventure puzzle game with time manipulation, was originally announced at Sony’s Paris Games Week 2017 presentation. Developer The Voxel Agents has now announced a release for Nintendo Switch in Q3 2018 alongside the PS4 and PC versions. Along with offering portability, the Switch version will also have HD Rumble support. Check out the announcement trailer below. The game sees two friends, Arina and Frendt, exploring a number of surreal islands while reflecting on their friendship and the memories they’ve made together. Interestingly, players won’t control the characters, but time itself. Time must be manipulated to solve different puzzles and eventually reach the peak of each isle. Light up the constellations and watch the story unfold in the process. Spoiler: It doesn’t appear to be entirely happy. The Gardens Between will be present at Gamescom 2018 on Switch. If you’re attending the trade fair, then head to hall 3.2, booth A70 from August 21st to August 25th to check it out. After that, a playable version will make its way to PAX West, which runs from August 31st to September 3rd.